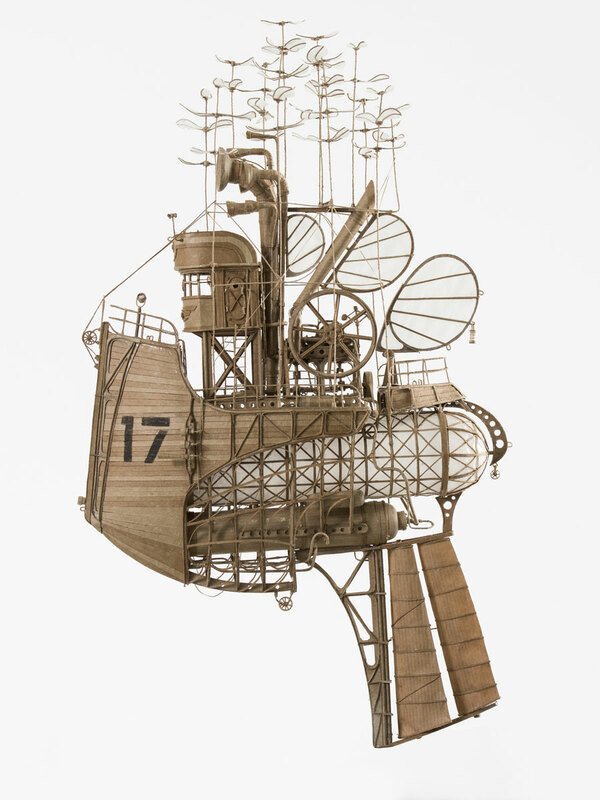 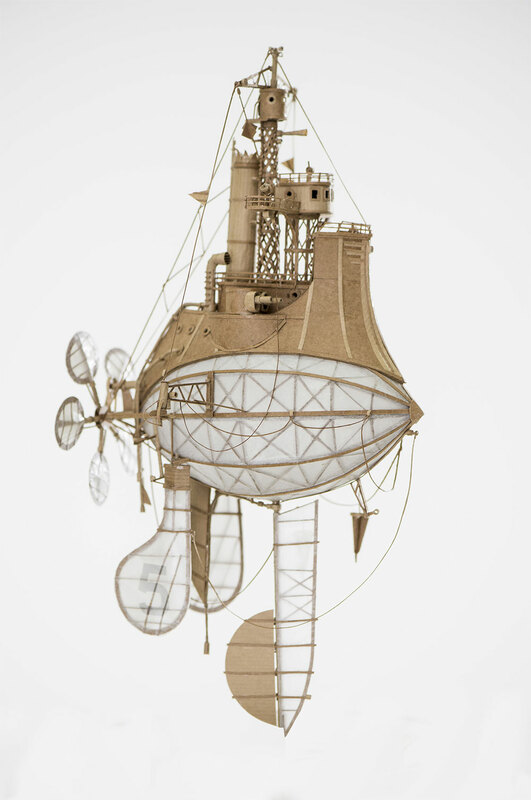 Netherlands-based artist Jeroen van Kesteren has created these sculptural airships as part of a series titled "Orphanage for Lost Adventures". 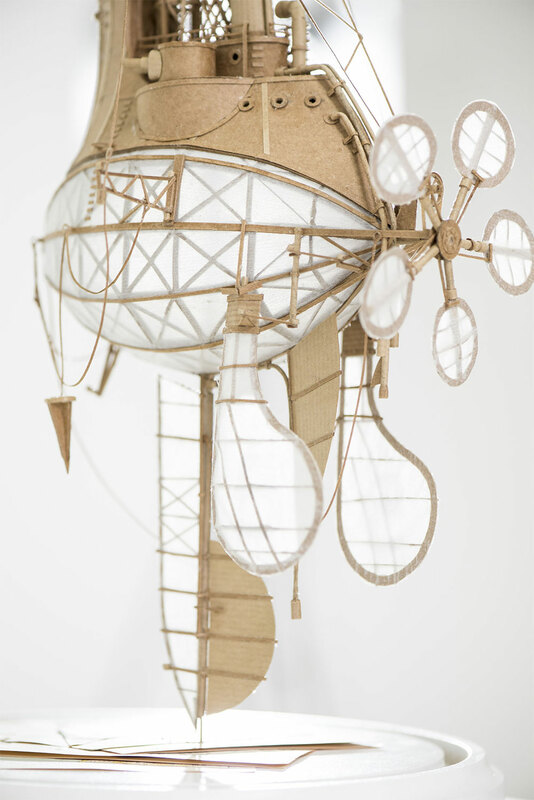 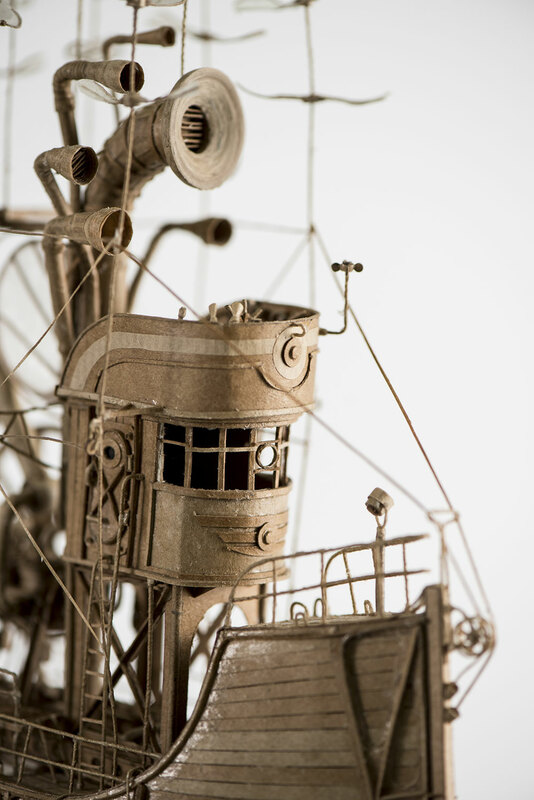 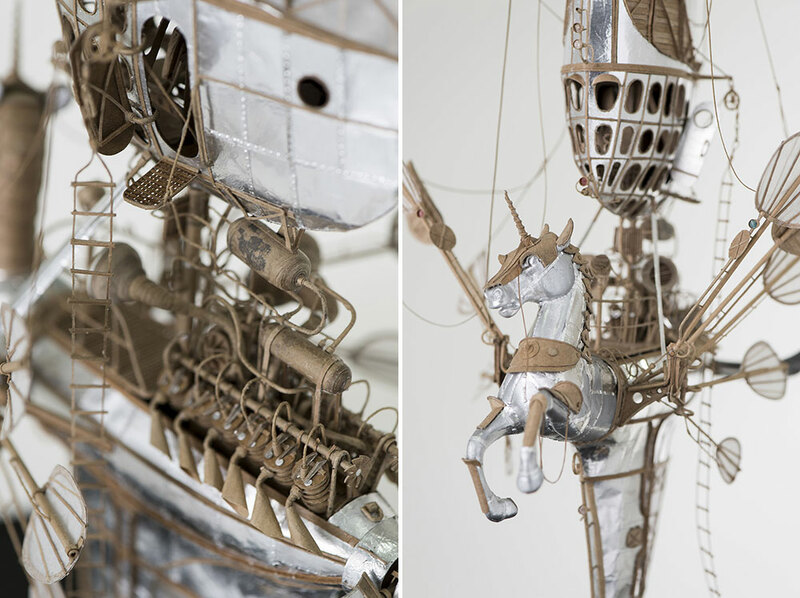 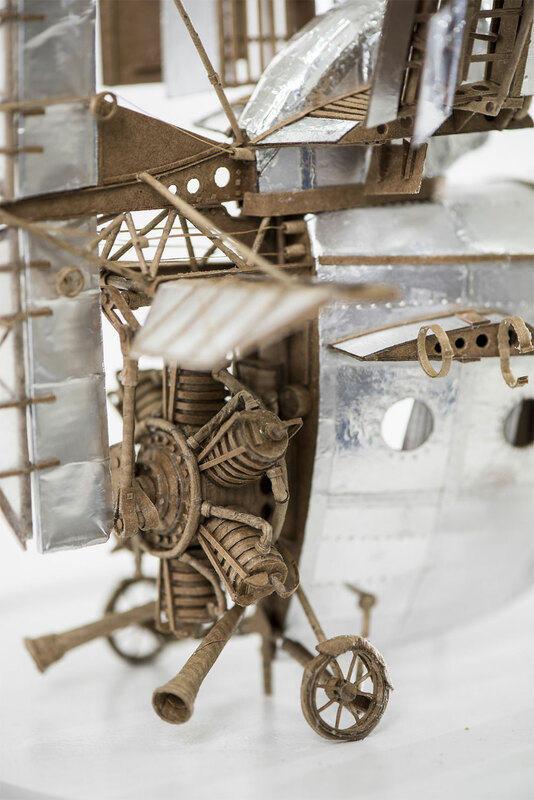 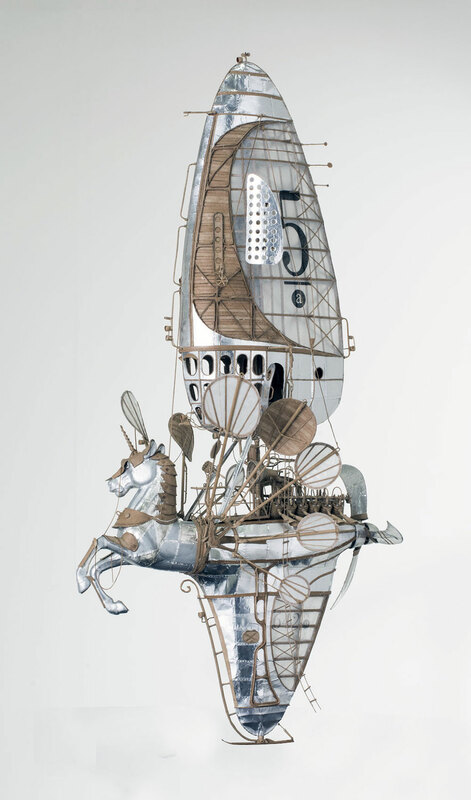 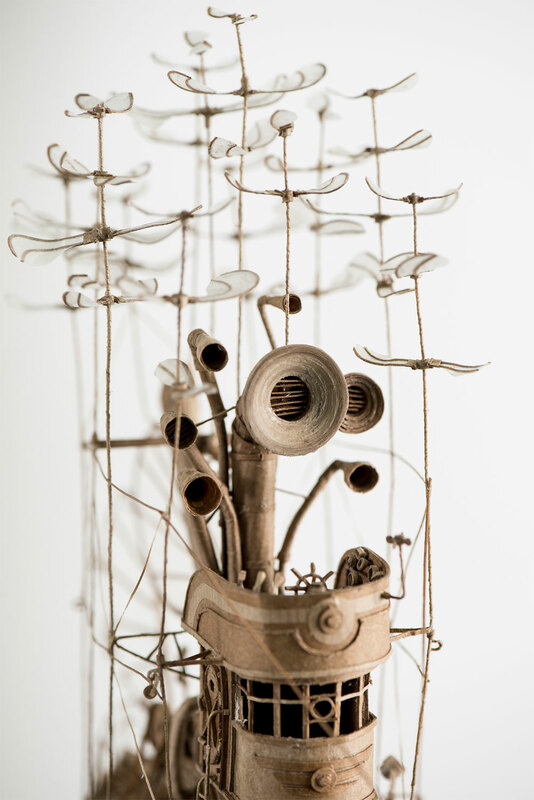 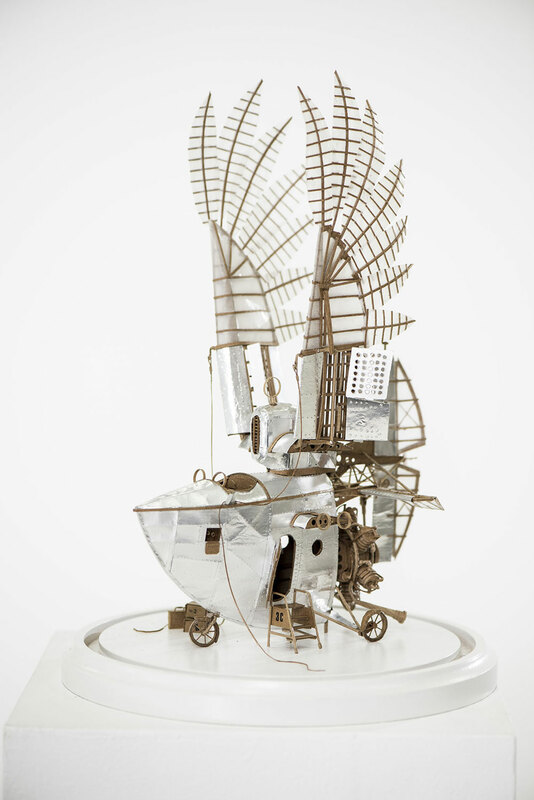 Made primarily from cardboard, aluminum foil, adhesives, and an assortment of papers used for sails and propellers, the whimsical flying machines have a distinct steampunk feel. 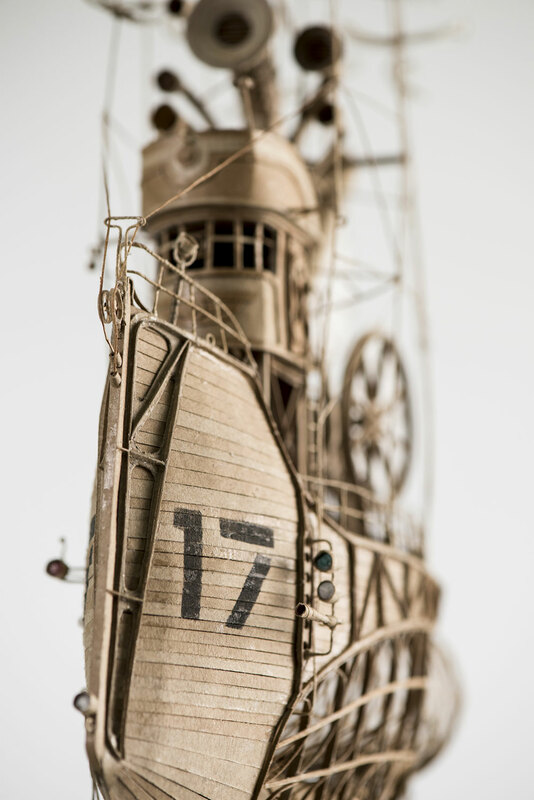 The pieces range in 40 to 50 centimeters tall and take about a month to make.